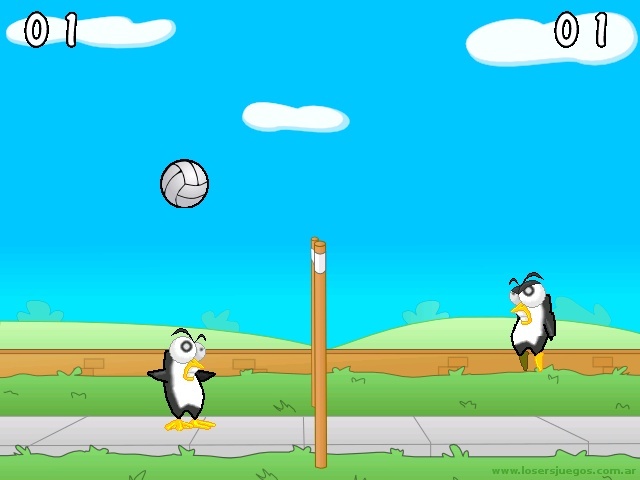 Volleyball is a simple sports game, starring two penguins. Is a two player game, and follows the basic rules of actual Volleyball. Each player hits the ball, trying to reach the opponents field. If the ball touches the floor of the opponents field, the player scores one point.